We guarantee to pay the best price in the UK for your currency. So, when exchanging foreign coins and notes you get the maximum amount possible. We appreciate that many people have high expectations of what the currency is worth. The value of exchange coins and small denomination notes or obsolete banknotes is much lower due to the high costs of processing and transportation around the world to the various national banks to exchange them. This is the same for all coins and banknotes which must be stockpiled, crated and then shipped to their national bank. They cannot be exchanged in the UK and have to be repatriated before we can exchange them. The cost involved is the manpower, weight, insurance, shipping costs and ever rising fuel costs to repatriate them. We will always offer our best rates which is why we are trusted for commercial foreign exchange services by the UK high street banks, UK government agencies, airports, law enforcement agencies, airports, charities, companies, hospitals, local authorities and schools. Our exceptional customer satisfaction rating and the best service guarantee mean that we are the trusted partner for many organisations of all sizes. We are always happy to send a firm offer before the currency is collected if you have a fixed amount of currencies. Contact customer services on 0161 635 0000 or e-mail Admin@cash4coins.co.uk for more information on how we can help you. Please note that for high value transactions we will implement enhanced Money Laundering Regulation checks . Current and obsolete banknotes such as Spain, German, Austrian etc. For most people, unwanted foreign currency has no intrinsic value as UK banks will not exchange them into Sterling. The reason the banks will not exchange foreign coins is because of the huge personnel and logistical expense in sorting, counting and shipping – This means that for most people foreign coins are almost worthless. This can also apply to some low denomination notes, where UK banks may provide a very low exchange rate which again can make some notes have almost no value. For example, some coins such as French Francs, are no longer exchanged even at the Bank of France and from February 2012 French Franc notes are no longer exchanged. However, here at Cash4Coins we will exchange foreign currency back into Sterling. Our exchange rates will vary slightly due to normal market conditions and also depends upon the overall quantity of a currency we receive. We also GUARANTEE to give you the BEST market rates. All coins have to be carefully sorted and counted which is a very labour intensive process. These coins are then finally repatriated to the country of origin for exchange. Some less common currencies will require stock piling before it is commercially economical to ship them for exchange. This will mean these currencies may receive a substantially lower rate of exchange. Why not send us your leftover foreign coins and notes today and we’ll exchange them into Sterling. Please go to our ‘How to send us coins‘ page for details of where to send the currency. If you have any questions then please contact our dedicated customer services team who are on hand to help. Payment for your foreign coins is made following the counting and sorting of the foreign coins and notes that you send to us. We are a commercial foreign coin exchange service and our clients include banks, charities, companies, hospitals, local authorities and schools. Our exceptional customer services and the best market rates means that we are the trusted partner for many organisations of all sizes. 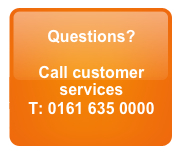 Contact customer services on 0161 635 0000 for more information on how we can help you. We use the latest counting technology to ensure that the foreign currency that we buy is accurately sorted and totalled. Please see the page How to send us coins for full details. I have recently acquired a large quantity of foreign banknotes of which most are no longer in circulation, could you exchange them for cash? We can exchange many many banknotes that are no longer legal tender as long as they are still redeemable at the national bank that issued them. You are welcome to email a list to admin@cash4coins.co.uk and we can advise on the value. We have 750,000 old Turkisk lira in notes, would you exchange? Thank you for the enquiry. We can exchange a lot of the old Turkish notes. I suspect these are the old Turkish banknotes with very high denominations. If this is not the case please let me know. Only banknotes of 250,000 or more can be exchanged. The banknotes were devalued by the Turkish Government at 1m:1 making 750,000 old lira worth 0.75 of a lira and approximately GBP0.18 or 18p. It would not be worth sending them for this low exchange rate. You are welcome to send a scan to us at admin4cash4coins.co.uk and we can confirm the value. 1USD = 41p excluding 1 cent. I have a box full of old coins off my father (shillings, three pences etc..) do you except these? Yes we do accept these, if you can email a weight of the coins to admin@cash4coins.co.uk we can recommend the best way to send them to us. If you have a list we can accurately make an offer before you send them. All the old silver coloured coins can be weighed and we can calculate the value from that. If you want to weigh the 3d we can do the same to save you counting them. We have every coin weight so we can calculate to within 1 coin value. The Greek currency ceased to be exchangeable in March 2012. A few firms buy them as souvenirs but usually for less than the postage will cost to send them. HI, I have 1000 lira turkey note can we exchange that. If you can do that please let me know the rate. Thank you for the enquiry. The note that you have is no longer legal tender and was devalued 1m:1 by the local government and it has no value any longer.